My husband and I were one of those Catholic couples who got married not knowing about Natural Family Planning (NFP). We planned to have kids right away and were ultimately shooting for six kids (five for a basketball team and one “extra” for a sub). By the time our first child was born, however, we had developed some materialist views, and thought we’d better wait to have more kids until we were, in a word, rich. We didn’t want to use artificial contraception because we didn’t want to compromise my health (we read the list of side effects and none of them sounded worth the risk), so we resorted to abstinence most of the time instead, not realizing the impoverishment and strain we were bringing on our marriage by doing so. Thankfully, we continued to grow in faith as the years went on. Our own desire to have more children, better understanding of Church teaching, learning NFP though haphazardly, the influence of other Catholic families, and our kids’ prayers and requests for more siblings — all these together “built” and strengthened our marriage. Today we have five children ages 9 through 27. We were sporadic NFP users, but NFP worked for us WHEN we used it, both to avoid and to achieve pregnancy. It’s truly “family planning” at all stages. Being fallen people, we always run the danger of putting wants first before needs, getting instead of giving, self before the other. NFP helped us to learn what prudence and balance were about. What’s funny is that we don’t even know anymore what comes first — the selflessness, or the precious, unrepeatable gift of new life. The more selfless we were, the more open we became to life. And with each new life that we were blessed with, we grew even more in selflessness. While the ability to space children is a gift, NFP goes beyond simply planning a family. The Sacrament of Matrimony is a pathway to holiness. In our feeble attempts to live out our vocation as married people, we continued to grow in intimacy, but through NFP, we also grew in chastity, mutual respect, and self-discipline. NFP forces us to reveal those aspects of our identity that we don’t make visible to the world: our fears, desires, our deepest longings. Though we — man or woman, single or married — are all called to be chaste, chastity is highly misunderstood. Chastity of thought, of feeling, of emotion (what’s invisible), manifest themselves in physical chastity (what’s visible). Mutual respect demands that we recognize our spouse’s innate dignity, and anticipate his or her needs — both sexual and non-sexual — and often invisible — and seek to meet them, visibly. In doing so we need self-discipline and the governing of passions, of faculties and instincts. At times we are forced to stretch our capacity for courage and trust in divine providence. As we grow in grace, we also grow to desire the good of our spouse and our children. CCC 2337 says that chastity is the successful integration of sexuality within the person, and thus the inner unity of man in his bodily and spiritual being. In Tagalog, pagpapakatotoo. Persistent work on the virtue of chastity teaches us to be truthful, to ourselves, to our spouses… such that our mind, body, heart, and soul, become one cohesive whole, giving us inner peace and genuine liberty. Many of our society’s biggest problems ripple from offenses against chastity and the trivialization of sexuality. We have seen the havoc that these wreak on our young people’s psyche and their future happiness. Because NFP teaches the lessons that it does, it becomes a living expression that captures what St. John Paul II’s Theology of the Body is all about: love that is fruitful, total, faithful, and free. 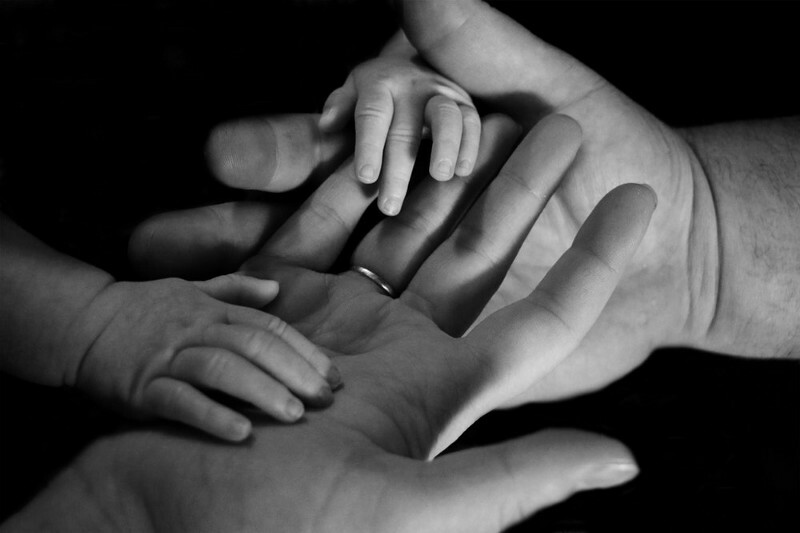 Because NFP is directed toward the flourishing of family, it is also directed toward the flourishing of society. We obviously cannot teach what we do not know. A married couple’s active practice of chastity, respect and discipline is more easily taught to children, because they’ve lived what they hope to teach. Over time, a married couple learns the relationship between virtuous behavior and true happiness. Our story with NFP doesn’t end here. At 19, our oldest child developed painful symptoms of endometriosis, which prompted us to find an NFP doctor who can help her, since endo is often (wrongly) treated with birth control pills. We found a network of pro-life doctors and nurses, including NaPro specialists who taught her to chart using the Creighton method to diagnose her specific problems. A NaPro surgeon became part of her team of caregivers, and laparoscopic endo surgery gave her pain-free cycles. Happy update: she got married last year to a wonderful man and is now the mother of a 1-month-old boy. The experience with our eldest woke me up to the reality that fertility awareness, which is the foundation for NFP no matter which method is used, isn’t just for married couples trying to avoid or achieve pregnancy. It’s also for every woman. A woman’s reproductive years only lasts so long, and paying careful attention to our health and fertility during those years is essential. Once again we only present half the equation when we talk about fertility awareness only in terms of family planning. Our current generation of young people preparing for married life is blessed in that fertility awareness methods in general, and NFP in particular, have caught the attention of even the secular world. Today many health-conscious individuals and organizations are looking to make fertility awareness and NFP even more accessible to everyone. Doctors and other health care professionals are themselves starting to see the wisdom of teaching fertility awareness even to pre-pubertal young girls, who need to learn how to track their biomarkers at an early age to make it easier to identity potential problems, to understand themselves and their bodies better, and to find remedies more easily if irregularities present themselves. On top of this, fertility awareness helps our youth develop an appreciation for God’s design of the human body. This awareness undoubtedly contributes to their understanding and awe of each person’s innate, God-given dignity, and prepares them as well for the sacrifices and rewards that come with the Sacrament of Marriage. Catechism of the Catholic Church 1803–1845, 2331–2400. Previous PostIs Contraception Really What Filipinas Want?